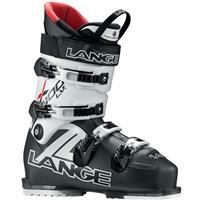 The RX 100 associates the fit of Lange's RS last with a more comfy liner for a performing all day On Trail skier. Available in 100 mm last. The process of shell engineering with the foot scanning system, allows for a more accurate and precise fit of Lange boots. 1. Shell design: Anatomically contoured heel cap provides better retention, and perfect ski control. Tapered mid-foot area holds the navicular and cuboid without applying too much pressure or being too loose; and delivers control for narrow and wide feet. Accurate in-step height, moderate upper flaps allow a comfortable fit for a wider range of in-steps and guarantees the perfect wrap. Asymmetrical toe box provides the proper volume to comfortably fit the toes without compromising control and feeling. It also allows for better thermo insulation. 2. Advantages: Perfect wrapping all around the foot for a very wide range of feet; • Modular in-step wrap which guarantees the correct position and retention of the foot; Great heel cap deFINISH and retention; Generous toe box volume without compromising the control and the performance; More anatomical feeling compared to other ski boots. 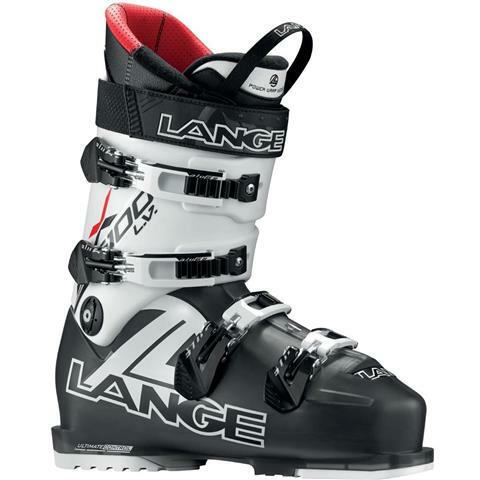 Lange employs the unique Natural Ski Stance that allows skiers to stand a little straighter for more efficiency and less fatigue. Injection technology based on the use of a single plastic material. Mono-injection delivers better ski performance than bi-injected, optimizes weight reduction and is much easier for boot-fitters to grind and punch. Thermo customizable liners, the RL1, RL2 and RL3 liners pprovide increasing foot retention levels to meet different skier's needs in terms of comfort and performance. This is achieved through the use of increasigly higher density pad materials from RL1 to RL3. Better wrapping of upper leg, enhances precision and sensitivity by eliminating any gap between shin and tongue. To maximize the comfort and retain the warmth, the asymmetrical toe box is made of a bi-elastic and high thermo insulation material. "Ready for Heating": Molded thermo customizable polyethylene + EVA foam ankle pads will be used in order to provide the liners with elasticity and comfort. Differentiated density from top (higher) to bottom (lower) will be used to get different Retention Levels: - 10 min heating - 10 min boots on, buckles closed, standing position - Buckles not too tight. Instep bone cut-out relieves pressure on instep and guarantees unrestricted blood flow for increased comfort and warmth.